New orders have been placed in the past fortnight for three cruise ships, one for Norwegian Cruise Line, with an option for a second of a new “Breakaway Plus” class, from Meyer Werft in Germany; plus two new ships, in new classes for each of Holland America Line and Carnival Cruise Lines, from Fincantieri in Italy. 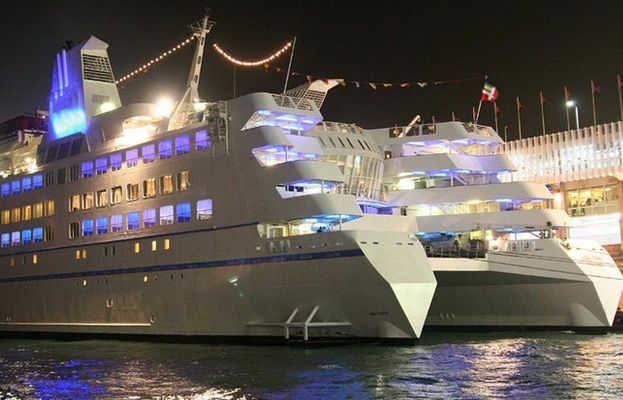 Elsewhere, after the arrest of four of Classic International Cruises’ fleet of five ships in Europe, that line’s Australian affiliate, working with UK-based Cruise & Maritime Voyages, has apparently succeeded in obtaining the slightly smaller German-based Delphin to replace the Athena in the Australian market this winter. Finally, after P&O, Princess and Cunard slashed commissions to UK travel agents to 5% at the beginning of 2012, Royal Caribbean and Celebrity, and now Norwegian Cruise Line, have followed Fred Olsen Cruise Lines, who acted in March, to cut their own base rate to 10%, in an attempt to stop agents from offering rebates on cruise bookings. On March 14, 2011, just before I took over this column from Mark Tré, he wrote an article on cruise ship registry that has been one of the most widely consulted in the whole Cruise Examiner series. In view of recent events, such as last year’s reflagging of Cunard’s three Queens to Bermuda, the dispute over whether the Deutschland would be reflagged to Malta (she has remained on the German register), and other questions about the effect of cruise ship registry on the industry (and vice versa), we repeat that column here. 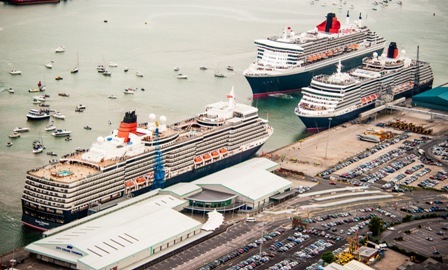 Other than the switch by Cunard to Bermuda and the delivery of new ships over the past year and a half, Mark’s findings remain absolutely the same today. Compagnie Polynésienne de Transport Maritime (CPTM) has ordered a new cargo-passenger ship to run from Papéeté, Tahiti, to the Marquesas and Tuamotu Islands of French Polynesia. The Aranui 5 will replace the Aranui 3 and when she arrives it is reported that Bora Bora may be added to the itinerary on the return passage. Designed by Romanian naval architect Josip Srpack (the Aranui 3 was built in Romania), the new ship will be built at Huang Hai shipyard in China and is scheduled for delivery in July 2014. The gap in the numbers is caused by the fact that there were actually two Aranui 2‘s so the number 5 will finally even this out. 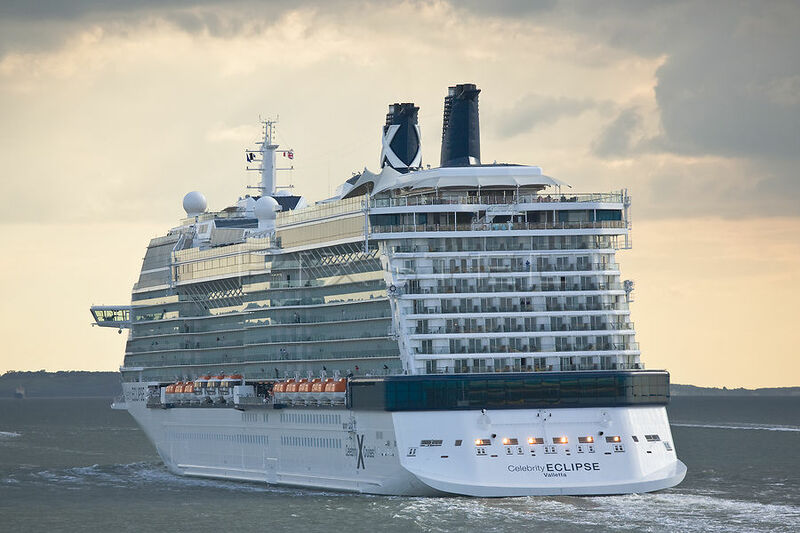 The specifications call for the new ship to have an overall length of 407 feet and to be capable of carrying 296 passengers, of whom 228 will be cruise passengers, 32 will be C class dormitory travellers and 36 will be local deck passengers. The Aranui 3 operated at 90% capacity in 2011, carrying some 2,200 passengers. The Aranui 5 wll have more verandahs and will have 62 deluxe cabins compared to just 24 on the Aranui 3. For further details of this or any other freighter voyage please contact Miri Lopusna at The Cruise People Ltd in London on 020 7723 2450 or e-mail cruise@cruisepeople.co.uk. The Chinese-owned China Star accommodates 200 guests in upmarket luxury. A report from China last week indicated that the Chinese cruise market continues to grow, not only with the big lines like Costa and Royal Caribbean but also with new local operations, two of them operated by members of the origjnal Royal Caribbean trio. And one, the China Star, the former Radisson Diamond, has been rescued from a career as a gambling ship to become the first Chinese-owned cruise ship, although registered in Nassau (see above). Meanwhile, with the arrest in Crete last week of the Princess Daphne, all five Classic International ships have now been brought to a halt. The charterer of the Princess Danae, French-based NDS Voyages, also ceased trading last week. Meanwhile, Germany’s Ambiente Cruises, which had charters on both Princess Daphne and Athena for the summer of 2013, has announced that it is seeking a new cruise partner. Finally, according to a study completed for the FCCA the Caribbean cruise market generated almost $2 billion for local economies in 2011-12. But the surprising news is that the ships’ crews spent more in the Caribbean that the cruise lines did themselves! A debate has broken out in the UK in advance of tonight’s airing of the latest Channel 4 Dispatches documentary “Cruises Undercover: The Truth Below Deck,” with most of the public so far seeming to be sceptical of the sensationalist television producers and supportive of Celebrity Cruises, the cruise line that is the target of this program. This is, after all, the 21st Century and not the 17th and “slave” wages are a thing of the past. Elsewhere, we look at the latest cruise passenger projections for Italy and the opening of the Florida-Caribbean Cruise Association conference in Curaçao today.